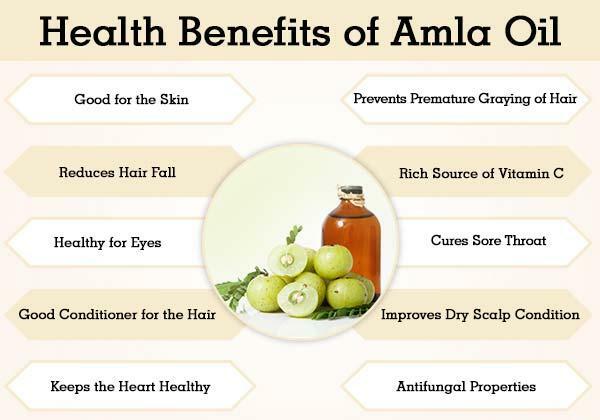 Amla oil provides a lot of benefits. You can either make your own oil or just buy one from your local supermarket. Amla otherwise known as Indian Gooseberry is a famous Indian fruit that is rich in Vitamin C. It has a sour taste and often used in different food preparations. This fruit is also used in hair care products because it is an excellent treatment for dandruff, hair fall, and dull hair. There are numerous hair oil products that are available on the market. And each of these products is making promises that they can solve hair problems. However, not all of them deliver positive results. First of all, Amla oil is rich in nutrients and is the best solution for controlling hair fall. But the question is, does it really work? Not all of them are effective in reducing hair loss. However, some of it are genuinely effective. Let’s take a look at some of the finest oils that can give us healthy and lustrous hair. 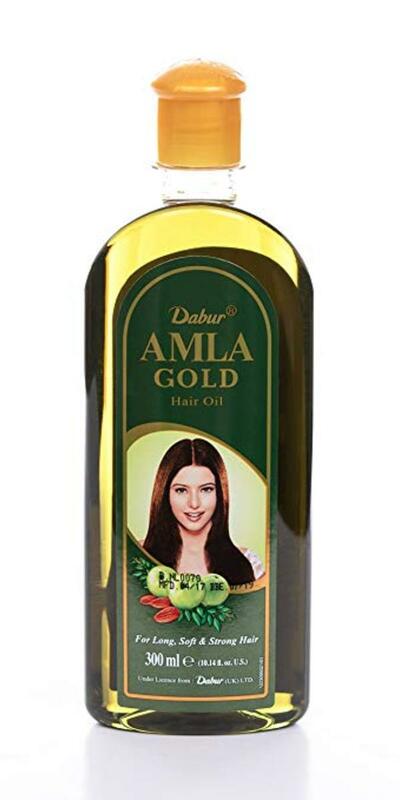 First on our list is the Dabur Amla hair oil which is our top-notch choice since it is one of the most famous brand. It can deeply condition your hair in order to prevent scalp dryness. Also, it can improve hair growth and circulation as well as prevent premature graying of the hair. It can help in minimizing itchiness and flakiness in the scalp. This oil has a strong fragrance, that is why it is best to use it overnight. 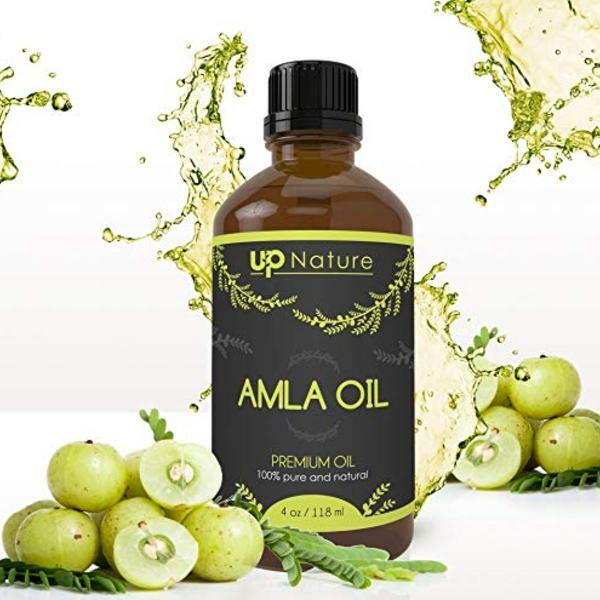 Next on our list is the UpNature Amla Essential Oil which is our second choice. With this hair oil, you can be certain it will invigorate and moisturize your crowning glory. Moreover, it will protect your scalp from any infections while also increasing hair shine. 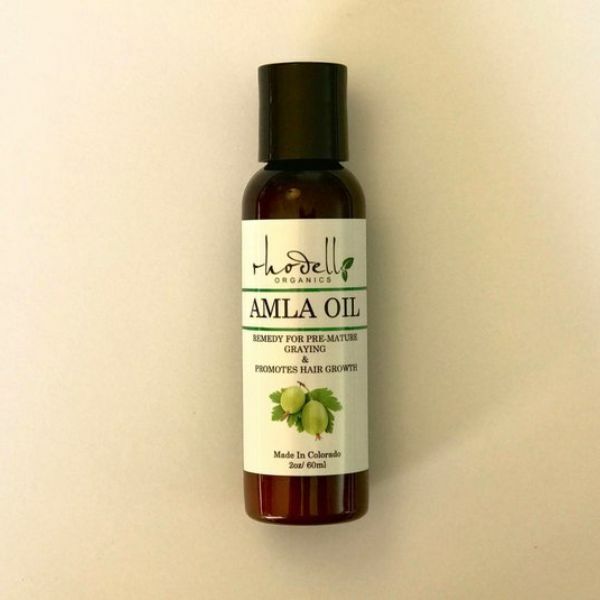 This unscented Amla hair oil is our third choice. 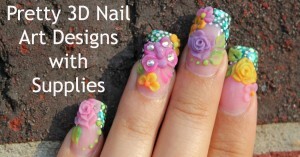 It is purely natural and handmade. It is made from the finest and the highest grade of essential oils. 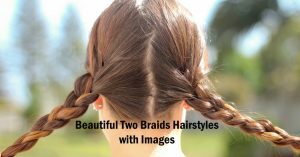 This product can work in any type of hair, whether you have thick, wavy or coarse locks. It’s very easy to apply and does not require too much time. Also, it can make your hair soft and manageable too. Meanwhile, our fourth choice is the oil from Oleo Botanicals. Comprising of Amla berries, this Ayurvedic oil does not contain any mineral oil or unsafe chemicals. Furthermore, it guarantees to rejuvenate and stimulate follicles to assist in your hair growth. Want to have healthier and longer hair? Then Amla Luxe Hair Oil is all you need. This oil is our fifth option. It is cold-pressed and organic with fractionated coconut oil. Other ingredients include Hibiscus, Bhringraj, Aloe, and Licorice. It only contains the finest ingredients that can promote healthy hair and prevent hair fall, split ends and hair breakage. Premature gray hair can be prevented since it contains antioxidants. It is rich in fatty acids and vitamin C to provide nourishment to your hair follicles. 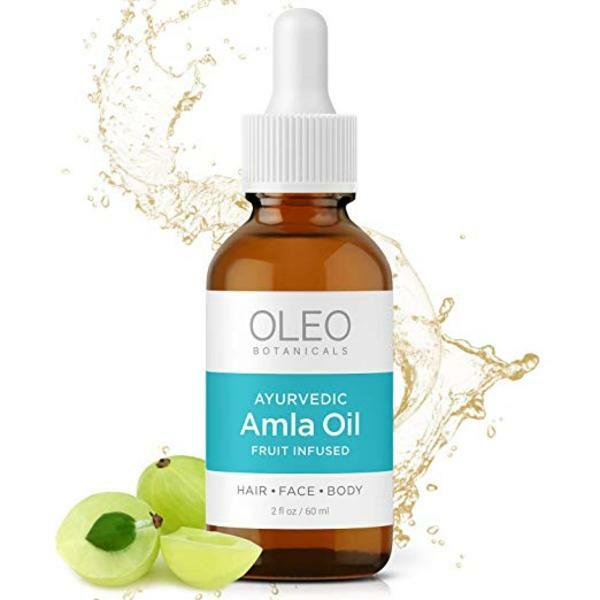 As a matter of fact, Amla hair oil has been used by Indian women for many years now, that is why they have the most beautiful hair in the world. Our sixth choice is the Matrix Oil Wonders Amla Strengthening Oil which helps regenerate weak and brittle hair. This hair oil is scented and is fit for all hair types. 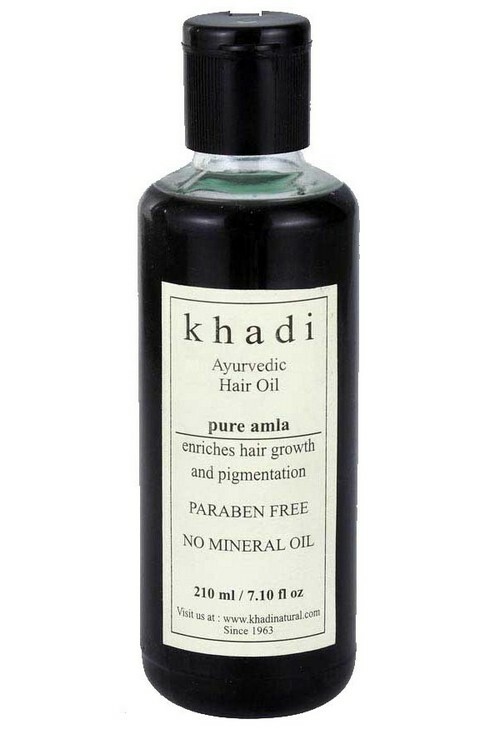 The Khadi Pure Amla Herbal Hair Oil is our seventh option. It provides you with soft and shiny hair. Likewise, it promotes hair pigmentation as well as proper hair growth. With regular use, you can say goodbye to split ends and dandruff. This oil can bring back the moisture of your hair shaft. In the eight place is Rhodell Organics. It is an effective treatment for hair loss as well as any scalp related issues. Additionally, it can also help in eliminating unwanted flakes on your scalp. Aside from that, it can help in promoting hair growth and preventing any premature gray hair. This oil can also assist in opening up the pores which can permit the scalp to develop natural oils. In the meantime, Tattva’s Herbs Amla Hair and Body Oil is our ninth choice. Interestingly, EcoCert certified this product as completely organic. Similar to other hair oils, Tattva’s Herbs helps in keeping away gray hair, stimulates follicles to promote growth, and gets rid of dandruff. When used on a regular basis, it also aids in lessening split ends. 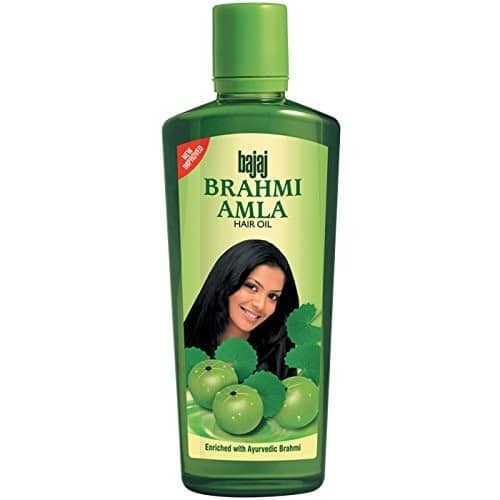 The Bajaj Brahmi Amla Hair Oil is in the tenth place. It is a well-known amla hair oil that is combined with Brahmi leaves. Brahmi can help in improving your memory while Amla can protect you against hair loss and can strengthen your hair. It is a natural conditioner that can help in preventing premature gray hair and the occurrence of dandruff. Organic Fit Hair is our eleventh option. It is infused with coconut oil pre-poo to help in promoting healthy hair and scalp. This oil uses the ancient way of extracting the benefits from the Amla fruit so as to treat hair and scalp issues. It contains Moroccan Argan Oil and Jojoba Oil to strengthen hair and soothes an itchy scalp. To use this product, massage it into the hair and scalp. Cover the hair and let it stay for 1 to 8 hours. Then shampoo and condition your hair. For our twelvth option, we choose the Jovees Amla and Beal Revitalizing Hair Tonic. Aside from Amla, it also contains Beal, Jatamansi, and other herbal extracts which are best for your hair. It can make your hair thicker and can nourish your scalp. Since this hair tonic is light and has a non-greasy formulation then there’s no need of shampooing your hair. It is an excellent leave-on conditioner. An enhanced formulation of the regular Dabur oil, the new Amla Gold is on our thirteenth place. Aside from Amla, this product contains almonds and henna. It is ideal for those with chemically treated locks, dry, and weak hair. Finally, the Vadik Herbs Amla Hair Oil is our last choice. Massaging this product to the hair and scalp can provide extra nutrition to the scalp and prevent any hair loss. It can also help in the blood circulation of the scalp and strengthens the hair roots. This oil can nourish and promote hair growth. Use it regularly to replenish the nourishment for your hair. It does not include any artificial fragrance. Amla or Gooseberry is a tree that is usually found in the Middle East and India. For many years, it has been a part of Ayurvedic medicine. Today, Amla fruit is being used for creating medicines. Usually, the fruit will get ripe in autumn. It tastes bitter and a bit sour but has a lot of fiber. The different parts of the Amla tree can be utilized for treating various disease. But the most vital part is the fruit. The Amla fruit can be used alone and can also be mixed with other plants for treating a variety of ailments. The amla can be made into pickles by mixing it with oil, salt, and spices. The fruit can be eaten in raw and can be mixed with various dishes. You can also soak it in sugar syrup for a long period of time so as to obtain a sweet flavor making it great for dessert. Amla is considered one of the healthiest fruits since it contains several nutrients such as vitamin A, C, iron, fiber, magnesium, potassium, calcium, protein, and carbohydrates. It is also rich in antioxidants, essential fatty acids, and water. However, one of the most important benefits of Amla oil is the prevention of cancer. It can also enhance your cardiovascular system and nervous system since it contains potassium. 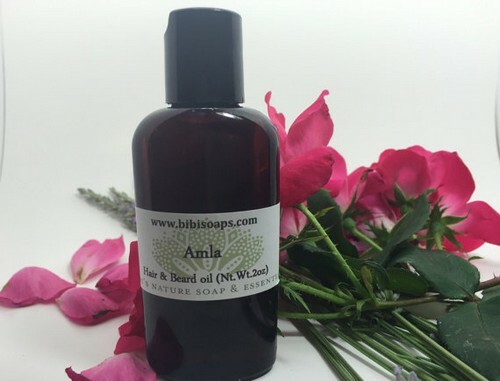 Amla can also improve the health of your brain, eye, hair, and skin. It is also effective in preventing aging and improving the immune system. Additionally, it can help in preventing constipation and anemia as well as improving your memory. As previously mentioned, Amla provides several benefits for the hair. Read below on how it specifically does good on our crowning glory. 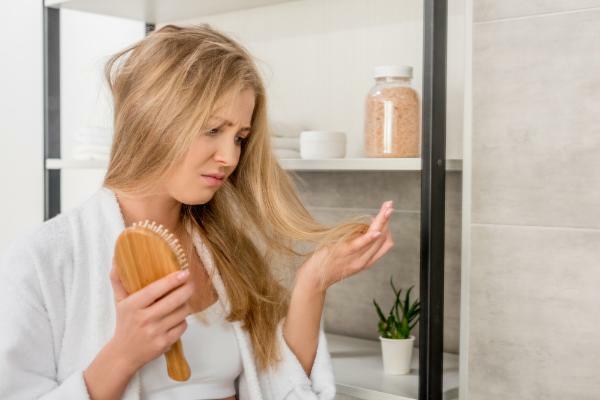 One of the major reasons why you have hair breakage is the lack of vitamin C. Since Amla is rich in vitamin C then it can help in repairing hair breakage. You can either eat the fruit or apply the oil on your scalp. You can purchase this type of oil from the store or make your own Potion. Simply extract the juice from the fruit. Take 2 teaspoons of Amla juice and mix it with the same amount of lime juice. Apply it on the scalp and let it dry. After a while, rinse it with warm water. This hair oil is great in nourishing your locks. 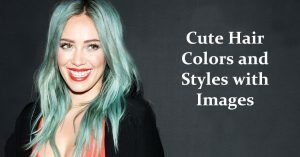 It can add color and texture to your hair. Just apply it on your hair before taking a bath. 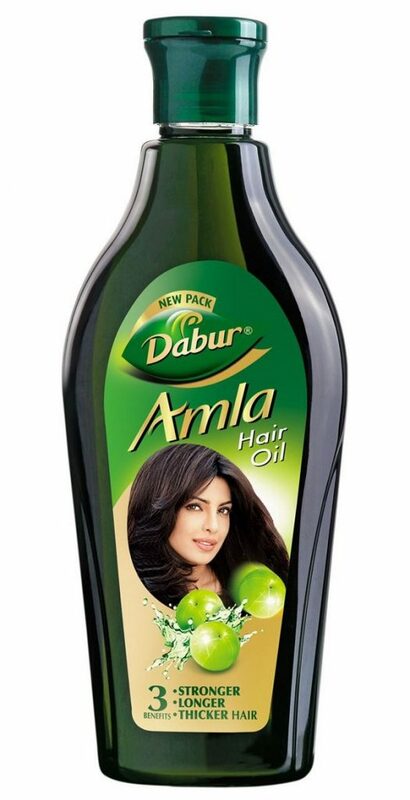 Amla is an excellent conditioner which also contains anti-dandruff qualities. It is a great treatment for itchy scalp. In particular, it will penetrate deeply into the scalp, removing the dryness and itchiness gradually. The antibacterial and anti-fungal properties of Amla will help remove and treat your dandruff. 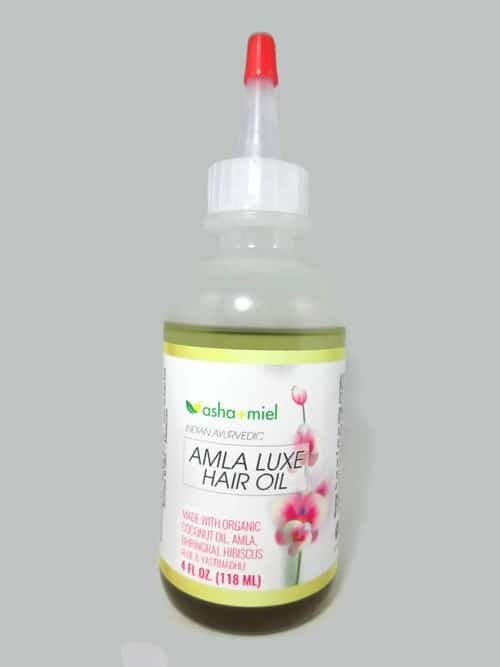 When Amla oil is applied on the scalp it can make your hair roots powerful. 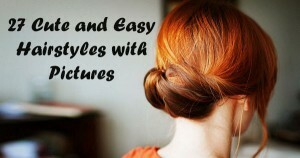 As a result, you can enjoy having strong, long, shiny and thick hair. Just use amla oil constantly into your hair to enjoy this amazing effect for a long period of time. The Amla oil will penetrate deeply into the scalp to provide you with a healthy scalp. Additionally, it will increase the development of pigment melanin, reducing the occurrence of gray hair. 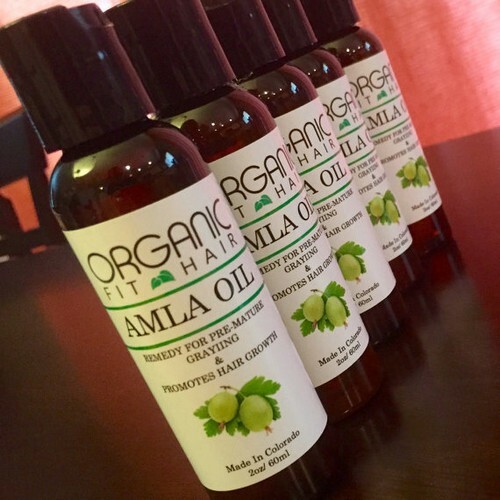 Amla oil is a great hair conditioner for dry and damaged hair. It will fill the broken spaces and coats the follicles to make your hair soft and silky. Apply amla oil right after washing your hair. Wrap your hair with a towel while it’s damp and let it work overnight. It can also help in preventing split ends. Growing facial hair will require good genetics. There are various kinds of medical treatments that can improve your facial growth, however, most of them have side effects when used most often. If you want to improve your beard growth in order to look more mature, then use Amla oil. 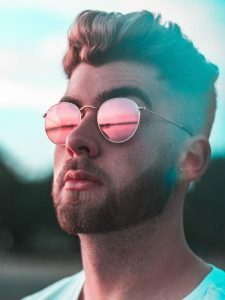 It is very effective in promoting the growth of your facial hair. Just massage the oil into your face and let it stay for 15 to 20 minutes. Use lukewarm water in rinsing it off. Another alternative is using mustard leaves. Grind it well until it turns into a paste. Mix a few drops of amla oil and apply in on your face. Let it stay for 15 to 20 minutes then rinse it with water. Do this four times a week for efficient results. If you have any surplus from the mixture then you can keep it in the refrigerator for 2 to 3 days. This is a very gentle treatment that will not irritate your skin plus it will make you look great. Step One: Put the saucepan on the stove and pour the almond oil or coconut oil. Use a low heat setting. The temperature of the oil should be below the boiling point. Step Two: Add the powdered amla and mix it using a spoon. Let it simmer until it turns into brown. Step Three: Take the saucepan away from the stove and let it cool. Get your glass jar and place a strainer on its mouth. Pour the mixture into the jar. Step Four: Allow the oil to cool before putting the lid. Amla oil is not only excellent for your hair growth but also for your overall health. It plays an important role in keeping your body cells active and purifying your body in order to prevent cancer. With regular usage, the amla oil can make your hair grow thicker, longer and easier to style. Incorporating amla into your diet can be very beneficial to your body.